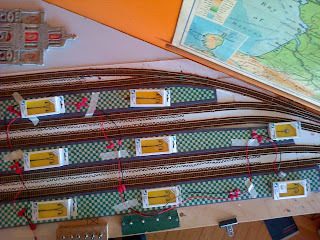 I thought my HO scale French model railway layout was pretty eccentric with its green and white chequered platforms. But this chap takes the biscuit with these HO scale kit rooms, yes, "rooms" which can be purchased on eBay from somewhere in France. 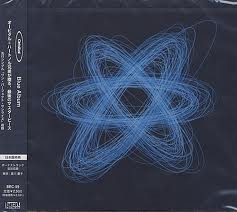 As I drove back along the M8 today, the only CD I could find in the car was Orbital's Blue album. Forgot to take a photograph. I'm a Roman Catholic and enjoy prescribed and aesthetically pleasing liturgy: I enjoy Anglican church services for the same reason. Indeed, I would like to attend the more extroverted services of churches in the Evangelical or Pentecostal movement. The necessity to let my hair down would do me good. But, I would not want them to try and persuade me to drop my Catholic leanings. Even a hint of such an attempt would be much resented. Perhaps they wouldn't. This is the Life Church meeting place in Edinburgh. I was very impressed by their pastor Adrian Galley who officiated at my son's wedding yesterday.